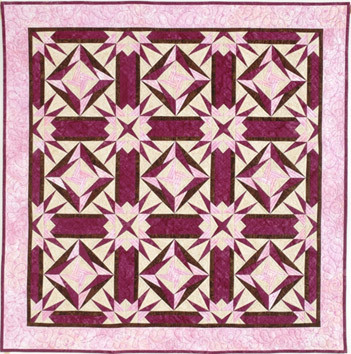 Carolyn Cullinan McCormick, inventor of the Add-A-Quarter line of quilt-making tools offers a sampler of educational opportunities for quilters interested in learning how to paper piece quickly and easily. 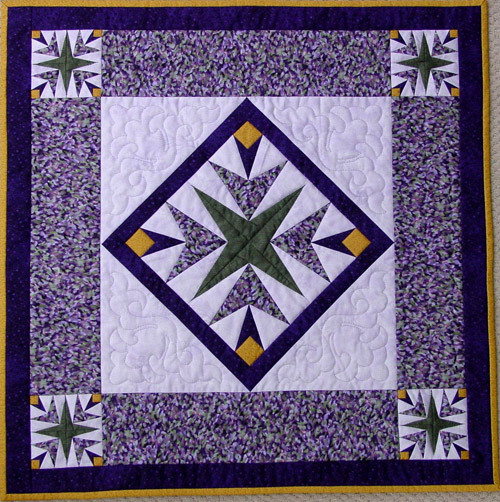 She offers workshops on standard paper piecing, paper piecing of miniatures and paper piecing with flannels. Also in the workshop she will demonstrate the many other uses of the Add-A-Quarter. Contact Us online or give us a call to schedule a class. All Day Classes - (5 hours class time -1 hour for lunch) $35.00 per student with a minimum of 10 students; maximum of 20 students. Plus travel costs. Half-day class - (3hours) $25.00 per student with a minimum of 10 students; maximum of 20 students. Plus travel costs. Travel costs include travel from Denver, Colorado; meals and lodging. Every effort will be made to keep the travel costs reasonable. 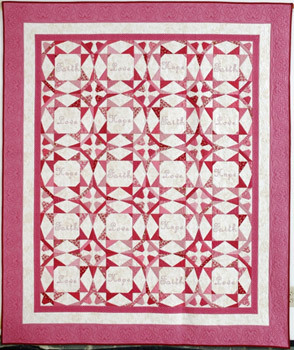 Chocolate & Strawberries is a more advanced quilt with many sharp points. When sewn together the blocks form a secondary pattern. 43" x 43" Quilted. This is a great all day class teaching four different techniques using the Add-A-Quarter Plus. Learn how to paper piece, using templates, fussy cut, and stitch and flip. 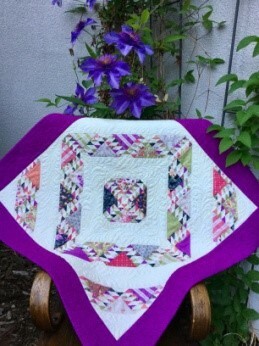 It is a fun way to using fabrics outside of the box. 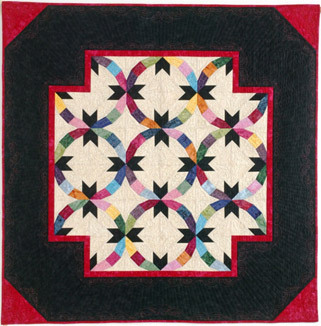 Quilters are actually carpenters of fabric. Imagine creating a beautiful golden staircase for your home making 160 blocks of this 1930’s design. No wood or nails required. 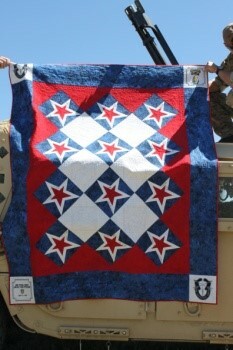 This Patriot Star pattern would be a great quilt for any military project, such as Quilts of Valor. We are fortunate to live in a country with great military men and women. 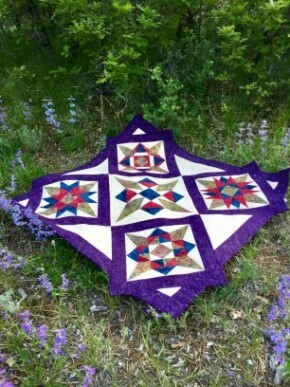 No better way to honor them than with a Patriot Star quilt. Many of us fondly remember lying on our backs on a summer night looking up into the night sky. We called it star gazing. The four outside blocks look very different but are all very similar in design, just like the stars of night. The blocks extend beyond the borders just like the stars in the sky extend beyond our vision. Want to make a bed quilt but don’t know where to start? 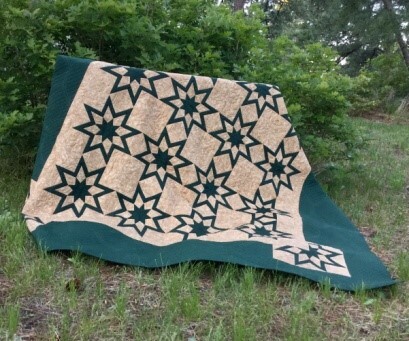 The Western Star would make a beautiful quilt with its unique border. 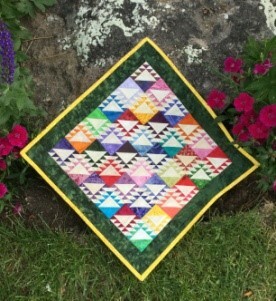 There are 20 – 14” paper pieced blocks and 4 paper pieced corners. 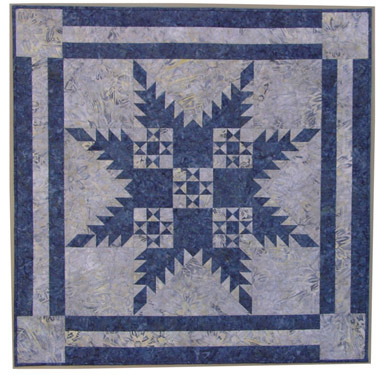 The California Star is a favorite class for students that have always wanted to make a feathered star. This star is the center for the Flock of Feathered Stars book. Learn to paper piece and you will be able to make every star in the book!! Our grandchildren’s favorite seasonal classic is Christmas Vacation. 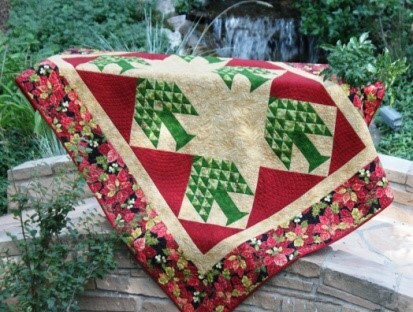 Just as Clark W. Griswold went out to find the perfect tree you also can find the perfect green at your local quilt shop and make this tree quilt. In this class learn how to position half-square triangle the correct way every time. 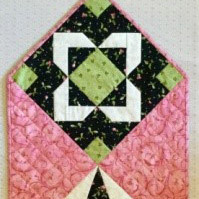 The quilted bulletin board is a fun easy class to learn the technique of paper piecing. 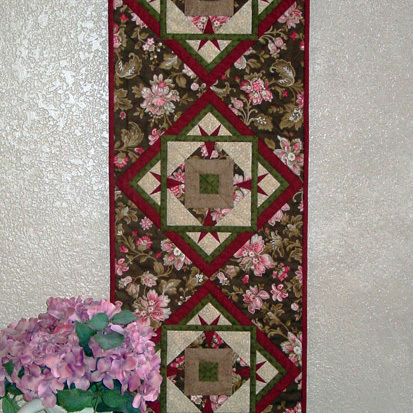 The bulletin boards would make great gifts for family and friends, think of all the fun fabrics you could use! 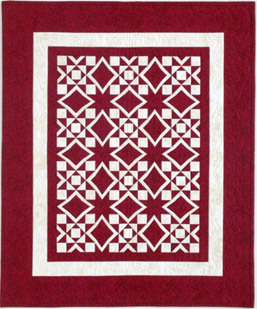 This pattern has a 10” and also a 4” block. Learn how to paper the larger block first and then make the 4” blocks. The technique is always the same but will be using and Add-A-Quarter Plus and also and Add-An-Eighth Plus. Early pioneers found the route to the mining fields arduous and dangerous. They came to depend on an easier route, the Bozeman Trail. 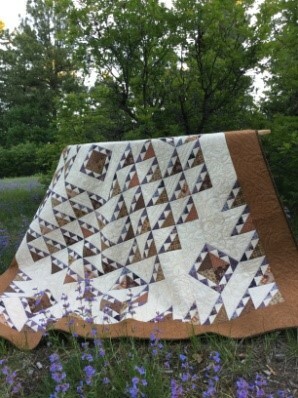 Travel the Bozeman Trail pattern to create a beautiful wall hanging using the technique of paper piecing. 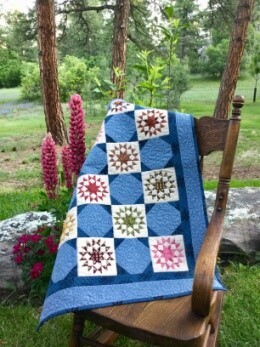 The Dargate Stars pattern is a fun way to use fat quarters, make every star different. Snowball blocks make the 4” paper piece blocks pop. We all enjoy the beauty of the Northern Lights. This wall hanging uses 4” miniature blocks to capture nature’s beauty. This class is not for beginners. Time consuming, but so worth it. 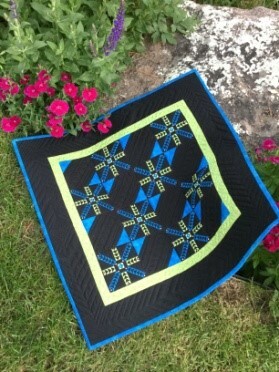 Remember, it is paper pieced that makes it easier to make! 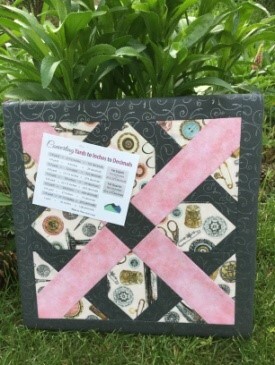 Want a great way to use scraps? Saw in the Barn is a different twist on the barn raising design. Paper pieced 4” blocks. Paper piece each basket using a different fabric makes up this colorful zig zag design. Each basket makes into a 2” block.